Welcome to The Phoenix Children’s Center. We are a pediatric practice in Phoenix, Arizona established in 1971 by our friend and colleague Dr. Neal Berger. Our office is staffed by 4 pediatricians. We have both male and female physicians. 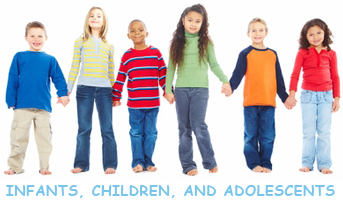 We provide medical care for children from birth through 18 years of age. We are open 6 days a week year round excluding major holidays. We have pediatric nurse triage to assist you with your after hour emergencies by phone. We know parenting is a 24/7 job and we want help to be available to you 24/7. Come visit our new office at The Camelback Arboleda at 16th Street and Highland. Our location is new but the faces are the same. Our experienced and friendly staff is waiting to assist you. Call for an appointment today. Copyright 2016 The Phoenix Children's Center, LTD.